Scientific American Are the Earth's magnetic poles moving? How do navigators adjust to this change? The answer comes from Paul Perreault, marketing manager for university and government research programs at Trimble Navigation Ltd., a manufacturer of advanced navigation systems. WANDERING POLE. The North magnetic pole has moved steadily northward at an average rate of 10 kilometers per year since it was first located in 1831. The earth's geographic poles are generally right where you would expect them to be: at the two opposing points about which the Earth seems to rotate. Magnetic poles used in compass navigation are another matter altogether. And neither pole pair is completely stationary. The North magnetic pole is at a point where a dipping compass--a compass that allows the needle to move freely in a vertical plane (as opposed to the horizontal needle movements seen in most compasses)--points straight down into the earth. The South magnetic pole is the point where a dipping compass points up. A dipping compass points horizontally on the Earth's magnetic equator, also called the Earth's dip equator. The magnetic poles are quite distant from their geographic counterparts. The North magnetic pole is located to the south in Northern Canada; the geographic South pole is at the center of the Antarctic continent, but the magnetic pole is hundreds of miles away, near the coast. In regions near the magnetic poles, compasses are virtually useless. Complicating this issue is that these pole positions are not static--for either magnetic or geographic poles. The location of the North geographic pole wanders in a small erratic circle-like path, called the "Chandler wobble." This motion is less than 6 meters per year on the surface; a worldwide network of very precise global positioning satellite (GPS) receivers is used to determine this wander. The magnetic poles are far more restless. They move under the influence of the dynamo currents in the Earth's core, as well as electric currents flowing in the ionosphere, the radiation belts and the Earth's magnetosphere. The North magnetic pole seems to be moving northward at an average rate of 10 kilometers per year. Yet there is also some elliptical motion to this general trend. 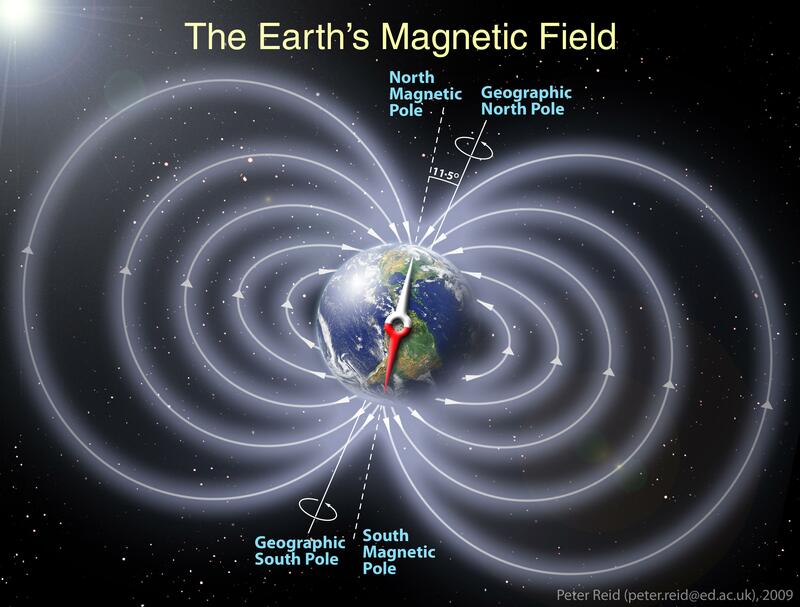 On any given day, the magnetic pole may be as much as 80 kilometers away from its average position, depending on the geomagnetic disturbances in the ionosphere and magnetosphere. Modern navigators normally are not affected by the wandering of the poles because they can regularly determine their position from satellites and Earth-based observatories. The degree of difference between the position of these two poles when seen at various locations is called magnetic declination. These angles allow navigators to determine their actual geographic position. 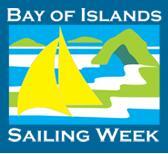 Charts and handbooks for navigation regularly update these values and are published by government agencies. 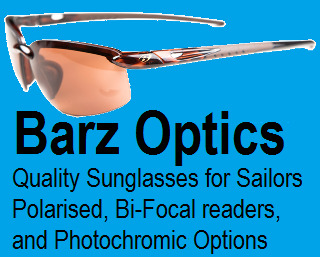 Maritime and air navigation regulations require use of these up-to-date charts and tables. Without GPS, the navigator would use a new version of the chart or table. With GPS, navigators update their receiver database by purchasing new data from the Government or from the GPS manufacturer and loading it into the onboard GPS unit. Reversals are the rule, not the exception. Earth has settled in the last 20 million years into a pattern of a pole reversal about every 200,000 to 300,000 years, although it has been more than twice that long since the last reversal. A reversal happens over hundreds or thousands of years, and it is not exactly a clean back flip. Magnetic fields morph and push and pull at one another, with multiple poles emerging at odd latitudes throughout the process. Scientists estimate reversals have happened at least hundreds of times over the past three billion years. And while reversals have happened more frequently in "recent" years, when dinosaurs walked Earth a reversal was more likely to happen only about every one million years. Sediment cores taken from deep ocean floors can tell scientists about magnetic polarity shifts, providing a direct link between magnetic field activity and the fossil record. The Earth's magnetic field determines the magnetization of lava as it is laid down on the ocean floor on either side of the Mid-Atlantic Rift where the North American and European continental plates are spreading apart. As the lava solidifies, it creates a record of the orientation of past magnetic fields much like a tape recorder records sound. The last time that Earth's poles flipped in a major reversal was about 780,000 years ago, in what scientists call the Brunhes-Matuyama reversal. The fossil record shows no drastic changes in plant or animal life. Deep ocean sediment cores from this period also indicate no changes in glacial activity, based on the amount of oxygen isotopes in the cores. This is also proof that a polarity reversal would not affect the rotation axis of Earth, as the planet's rotation axis tilt has a significant effect on climate and glaciation and any change would be evident in the glacial record. Earth's polarity is not a constant. Unlike a classic bar magnet, or the decorative magnets on your refrigerator, the matter governing Earth's magnetic field moves around. Geophysicists are pretty sure that the reason Earth has a magnetic field is because its solid iron core is surrounded by a fluid ocean of hot, liquid metal. This process can also be modeled with supercomputers. Ours is, without hyperbole, a dynamic planet. The flow of liquid iron in Earth's core creates electric currents, which in turn create the magnetic field. So while parts of Earth's outer core are too deep for scientists to measure directly, we can infer movement in the core by observing changes in the magnetic field. 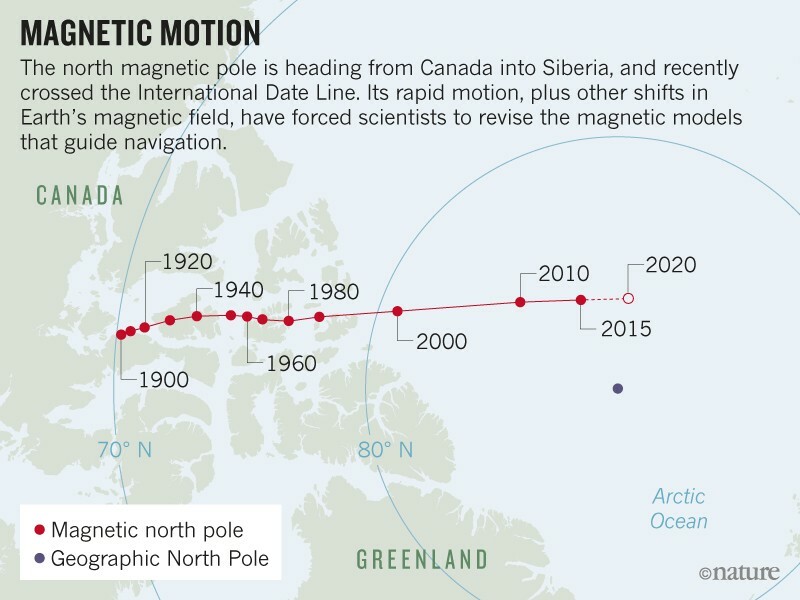 The magnetic north pole has been creeping northward – by more than 600 miles (1,100 km) – since the early 19th century, when explorers first located it precisely. It is moving faster now, actually, as scientists estimate the pole is migrating northward about 40 miles per year, as opposed to about 10 miles per year in the early 20th century. Another doomsday hypothesis about a geomagnetic flip plays up fears about incoming solar activity. This suggestion mistakenly assumes that a pole reversal would momentarily leave Earth without the magnetic field that protects us from solar flares and coronal mass ejections from the sun. But, while Earth's magnetic field can indeed weaken and strengthen over time, there is no indication that it has ever disappeared completely. A weaker field would certainly lead to a small increase in solar radiation on Earth – as well as a beautiful display of aurora at lower latitudes - but nothing deadly. Moreover, even with a weakened magnetic field, Earth's thick atmosphere also offers protection against the sun's incoming particles. Perhaps our measurement scale has become so accurate we are worried about stuff we never used to worry about too much? Just get a new deviation card every few years which we should do anyway. its been happening for ages. Compass rose on all charts already has the magnetic variation, the date that was determined, and the rate of change per year. So if you are determining your variation, you need to refer to the chart for your specific area and determine the correct variation for your year. I'm assuming the rate of change for the NZ area hasn't changed substantially greater than 2 mins / year, and if you are worried about it, just update your charts. I'd be impressed if anyone can steer as accurately as the errors anyway (we're talking 1/3rd of a degree over the last 10 years for Auckland). If you are navigating in the arctic circle its a different story, but arctic explorers have long known you can't use a compass for nav in high latitudes. The issue is that the yearly rate of change is now faster, and it’s speed is increasing. The predictions on your chart can no longer be accurately relied upon.